Today’s technology helps us complete our daily chores with more ease and enhances the quality of our spare time activities. Whether you’re interested in adding fun when getting various things done or you’re in need of a cool gadget for your dad, the market is surely generous enough to cover all sorts of preferences. Here is a list of fresh gadgets designed to meet different needs and trigger that smile you’re after when looking for a cool gift for your dad or partner. If your partner or dad is a gadget buff, be sure DJI Mavic Pro will be a successful way to say Happy Birthday. This coveted drone will take one’s photography and video experience to the next level. The unmanned aerial drone flies at up to 40mph (64 km/h) or for as long as 27 minutes, its OcuSync transmission system offering up to 4.3 miles (7 km) of transmission range. 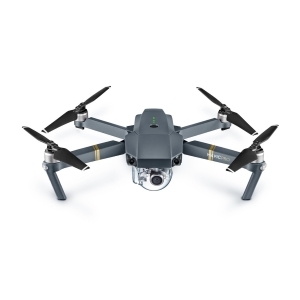 DJI Mavic Pro smart features will get you smooth footage and professional video as well as precise positioning, and you get to enjoy all that in a 1.64-pound gadget. Losing your keys, bag, or some other important thing you care about is no longer a reason to worry. 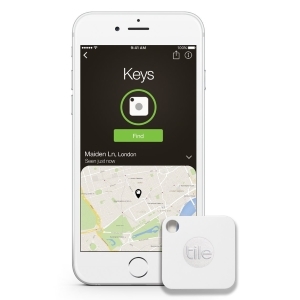 Thanks to the latest key finder coming from Tile Mate, you can now bid such nuisance farewell goodbye. The Bluetooth tracker can be attached to anything you don’t want to lose so you can find it in no time. You just need to pair your things with the tracker and then use your smartphone to make your Tile Mate ring when it’s nearby, but you can’t see it. You can even find your phone by double pressing the button on your Tile Mate to make it ring. 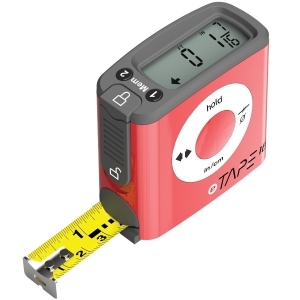 No matter if you are a professional tailor or just a person using the measuring tape quite often, the digital version of this tool coming from eTape16 is a gadget you might want to add to your collection. This rugged weather-resistant tape measure is made of polycarbonate plastic, features a large digital display, and 3 Memory functions including a short-term measurement hold and two long-term memories. You can now measure the space on the wall or find the center of your room by simply pulling out the cutting edge and read the estimates displayed. 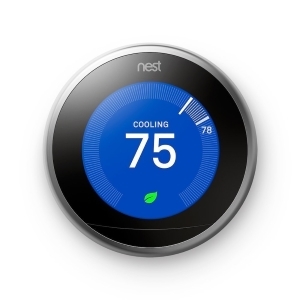 Make sure the temperature in your room stays at an agreeable level with the Learning Thermostat signed by Nest. Their 3rd generation thermostat learns the temperature you like and adjusts it so you feel comfortable. Moreover, this gadget is energy efficient as by learning your habits and adjusting the temperature in your room, it will also save you money. You can get your coziness gadget in four colors, Copper, Stainless Steel, Black, or White, depending on your room design. Its Farsight feature will help you read the display from across the room by lighting up to show you the temperature, weather or time. If you’re very much into cooking and trying all sorts of recipes and flavors, you might want to consider Wireless Digital Cooking Meat Thermometer from ThermoPro when building up your kitchen gadget collection. This product has Dual Probe monitors and a large LCD display that will show both food and oven temperatures. It monitors food and temps up to 300 feet away. 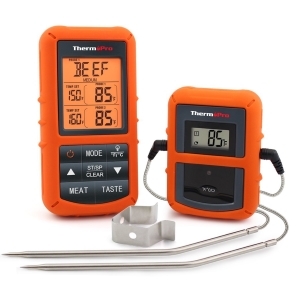 The ThermoPro meat thermometer includes preset temperatures for nine types of meat as well as various doneness levels. It requires no sync yet it can be reset to your desired tastes. Getting ready for that next party you might want to throw will be easier once you update your gadget collection with Perfect Drink PRO. This smart bartending system will help you make world-class cocktails right at home. You just need to select one of the 400+ recipes, place a glass on the scale and start pouring the ingredients. 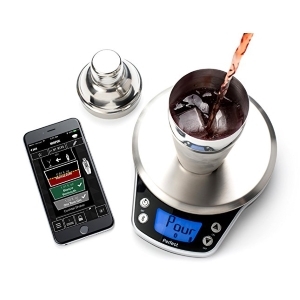 The scale weighs each ingredient and alerts you when to stop pouring. You can adjust the serving size to make a single glass or servings for all of your friends. Enter the ingredients you have on hand, and the app will come with recipe suggestions. Whether you’re looking for a jump starter or a power bank, Bolt Power D28 might be just what you need. 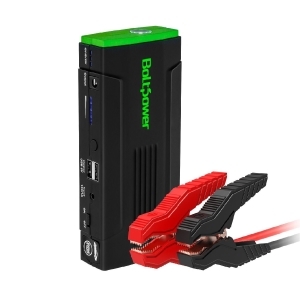 With boost power of 400 Amps, this product will jump start your car endlessly with no problem. You can also use the product as a power bank thanks to its 13600mAh. These features and its miscellaneous equipment make Bold Power D28 a must when it comes to your car emergency kit. Once you get it, you will no longer have to spend money on calling a tow truck or time waiting for help. You can jump-start your car yourself effortlessly. 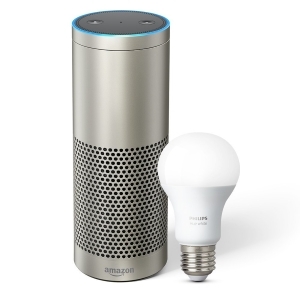 Take your everyday life to the smart level experience with Echo Plus. This product will help you start and enjoy a smart home by connecting and controlling various compatible smart devices such as switches, plugs, and door locks. The Alex Voice Service it connects to will allow you to play music, make calls, get the latest information from the very comfort of your bed. Thanks to its 360° room-filling sound powered by Dolby, the gadget can hear you from any direction. You don’t have to get out of bed to switch on the lamp as the product comes with more smarts than you can shake a stick at. 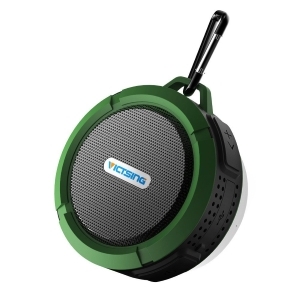 If your spare time often finds you outdoors exploring nature or simply enjoying it, VicTsing Shower Speaker is a gadget you might want to take with you. Great for outdoors and shower, this portable speaker will help you enjoy your favorite music or pick up a call while you’re doing other things when it is connected to your smartphone. The product supports up to 6 hours of playing time streaming incredible stereo sound with full range output thanks to its 5W speaker. It features a friendly design that allows you to hang and attach it to any place you want. 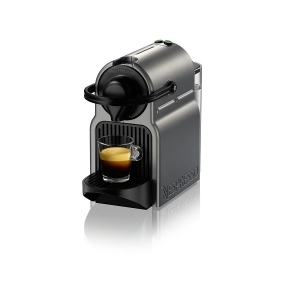 If a cup of your favorite coffee is what you want on your desk in the morning, Breville Nespresso Inissia will help you make sure you enjoy one. The lightweight, compact coffee machine fits perfectly into any design offering an impeccable barista-style coffee every time you need it. It takes just one touch and 25 seconds for the water to reach the ideal temperature to help you make up to 9 coffees without having to refill the 0.7 tank. The coffee machine is both easy to use and energy efficient as it will automatically turn off after 9 minutes when in the energy saving mode. You’re probably here in search of the perfect gift for your dad. 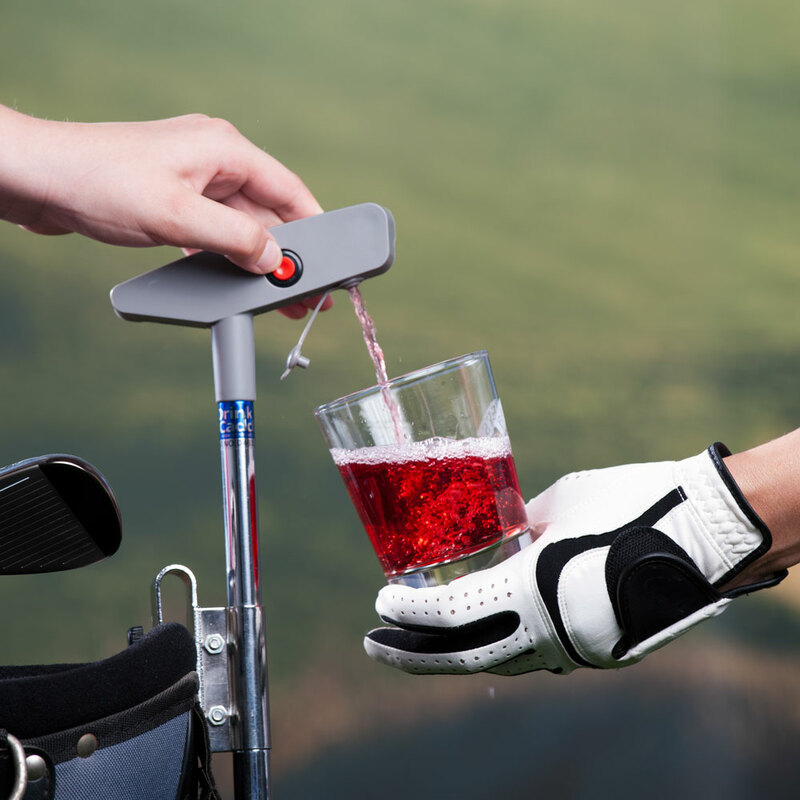 Some cool gadgets for Father’s Day, maybe, since he seems to be into them. But “gadgets” can be a pretty extensive category and there are very few people, if any, who can be said to like them all. What kind of gadget would be good for a dad? Because what’s cool for one generation is not necessarily what the previous one gets enthused about — heck, it’s hard enough shopping for friends and coworkers, and those tend to be the same age as ourselves. There are a lot of cool gadgets for dad out there, but to pick something he’ll actually use you have to take a few things into account, and not just buy the first thing that’s for sale. Most middle-aged men tend to have a large number of interests and hobbies or to take special pride in their job. What are these where your dad is concerned? Even if you’re aware of all this, it’s notoriously easy for a dilettante to slip and buy the wrong thing when niche products are concerned. What might seem like a good brand or product to an outsider could be famously derided within a hobbyist community. That’s why our first advice is to look at what other people with the same interests have to say, what are their comments on the particular product you have in mind. Besides this, we have some general rules you should consider when looking for great gadgets for dad. Mature men tend to have a different attitude towards brands than younger people. While the brand is indeed very important for them, they tend to scoff at brands that construct that construct around outside factors rather than the quality of their product. We recommend you avoid brands that overemphasize the lifestyle part of marketing, that go out of their way to sell the image of their ideal consumer, of the type of person that would be interested in their product and what qualities he or she might have. (Certain famous gadget manufacturers are particularly guilty of this.) Your typical dad has his own identity, which was provided by his career and community, he doesn’t need one marketed to him. What a typical dad does look for however is dependability. They are attracted to brands who made a name for themselves for producing quality items. Personal experience with a product matters the most in this regard, and they tend to be particularly loyal to brands that served them well in the past. Your dad’s favorite manufacturers might not produce the gadget you have in mind. The second thing to look for is quality. Needless to say, don’t buy the cheap sort made from less reliable materials. While some dads might not be aware of the fame some less-than-trustworthy brands made for themselves, he will most certainly wake up to this when the product stops working. Besides, trying to skim a few bucks off the gifts for your parents is a pretty underhanded thing to do. Most parents of grown children come from a time when the vast majority of consumer goods weren’t specifically designed to break off after a few years of use, so they generally expect them to last for a fair while. So go for the premium, if you can afford it. Dads are typically pleased by items they can hold on to since the thought that they own “good stuff” is very satisfying to them. Obviously, you’ll need to buy something of use to your dad, or at least something he’ll derive some joy from using. We tend to see gadgets as over-expensive toys, but this shouldn’t necessarily be the case. As we already mentioned, look to his interests and hobbies to get ideas for over-expensive toys, but he’ll equally appreciate if you take things such as his profession into account, and actually buy something practical. Think about a smartwatch — on which he could connect to the internet on the go — if he often works away from an office, or the latest heavy duty laptop if he is a construction or marine engineer. 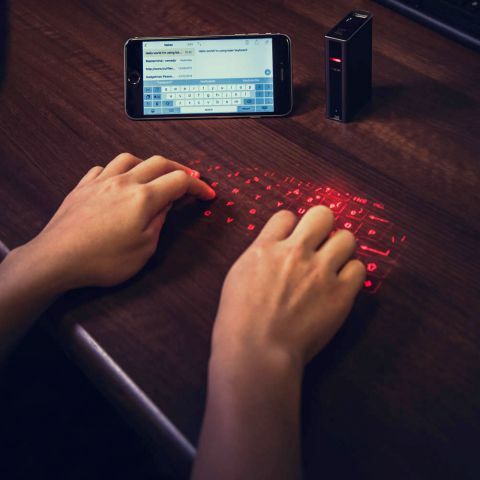 It doesn’t even need to be expensive, just a little practical item — like a novelty flashlight or a staple-free stapler — that will help him out at work but he didn’t even know it existed. You could, of course, go for something of everyday use, which comes in handy to almost anybody, like a nifty new garage opener, a pocket multi-tool, the latest Swiss Army knife, a toothbrush that stores its own toothpaste, microwaveable socks (for keeping your feet warm), etc. If yours is the type of dad that appreciates little gestures, he’ll be very content with such apparently trivial and very affordable items. After all, older generations tend to be financially better off than their kids and can buy their own pricey electronics. We recommend however to stay away from borderline toys/desk toys, such as Buckyballs or the transfer of kinetic energy pendulums you see in movies. They might seem impersonal since they offer very little practical value for anybody. Dads are a pretty diverse group, and their taste in gadgets, both electronics, and novelties, encompasses a very wide range. Hence, it might be more helpful to know what *not* to buy for a typical father. This, of course, applies only to most circumstances and some of it might be so obvious as to appear condescending to the reader. Commercially available drones and any other remote controlled flyers are obviously off your list since they look too much like toys, even if not marketed as such. Another safe bet is audio equipment, such as speakers, subwoofers, and headphones. If a middle aged man is interested in this sort of stuff, he’s likely to have his own semi-professional equipment by now. Any smartphone or tablet that does the same thing as his own, but a little better. While essential for modern living, these aren’t really tools that people of previous generations feel the need to upgrade, as long as they do their job properly. A father might perceive your gift as a comment in regards to the quality of the product he owns.